Last week, Astrid, our lovely designer explained the difference between a perfume, and a smell. In short, all roses have a smell, but not a perfume. One that does however, is the stunning white O'Hara rose. Although this rose is called "white", it has an ivory cast to it, particularly in the middle of the rose. Its luscious appearance hints at its heady perfume, and where other equally perfumed roses might die quickly after being cut and arranged in a beautiful bouquet, the white O'Hara has an unusually long vase life. 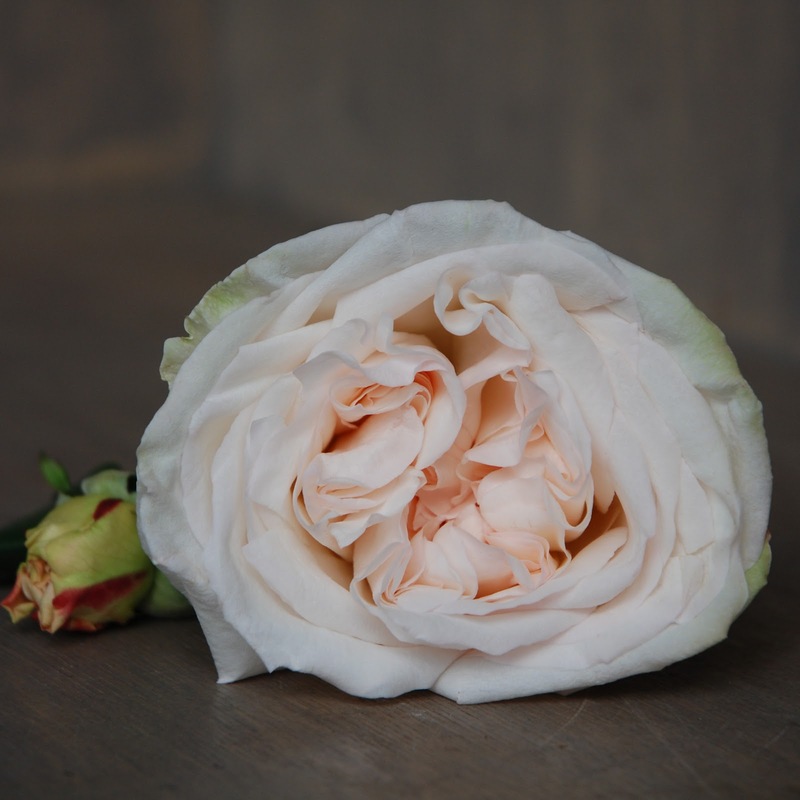 Astrid explained that for years roses have been bred to be hardy and to last a long time once cut. Creating this long lifespan in roses has eliminated the fragrant component of many of them, hence the notion of a smell versus a perfume. The roses might last a long time, but as an old man once told Astrid, the first thing someone does when they are offered roses, is smell them. What's the point if they don't have a perfume? The white O'Hara is very sought after for bridal bouquets, and are only available in limited quantities so they must be ordered from your Montreal florist, The Flower Pot, in advance. Remember that we STILL have a discount on the Sunflower Bouquet if you enter tournesols when you order online, or when you check into our store with Foursquare.